ASUSTOR Community Forum • View topic - 【Newsletter#76】One-click backup your photos on mobile devices with ASUSTOR NAS. 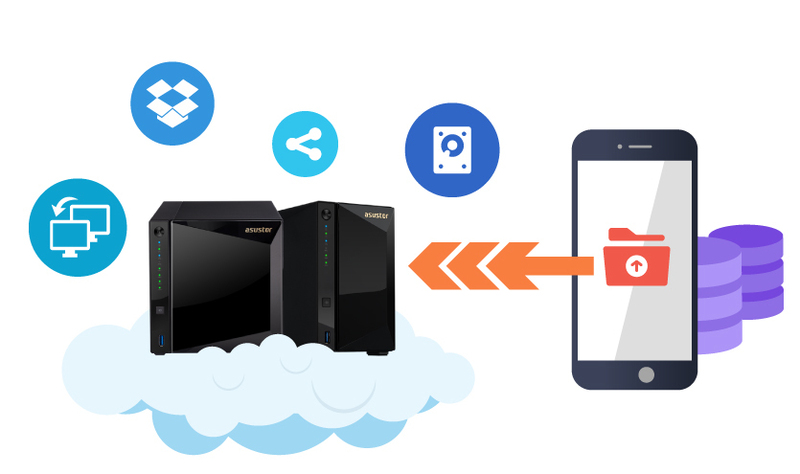 One-click backup your photos on mobile devices with ASUSTOR NAS. At each mobile company’s annual launch event, it is common for consumers to look at purchasing a new phone. When buying a new phone, consumers consider the various features and hardware specifications found inside a phone. One consideration is the storage capibility. Because of the increase in camera sensor size as well as the size of software found, higher smartphone capacities are increasingly in demand, driving up the cost of devices. With AiFoto, photos can be saved directly to an ASUSTOR NAS, saving you time and money and eliminating the need to buy more expensive phones. With an ASUSTOR NAS, you decide the capacity. Since the most used feature on a phone is the camera, AiFoto helps save up to hundreds of thousands of photos and videos to your NAS while also being able to share with friends at any time.